You are here: Home / Marketing / SEO / Which is The Best Wordpress Theme for SEO? In SEO for WordPress post I mentioned that Thesis theme (Aff Link) for WordPress is the best WordPress Theme. At that time it was based on my experience and not based on facts but today I have the data to show results and impact of thesis on my blog and help you understand why thesis theme is being used on more than 40,000 blogs Worldwide. February 12 2012 is when I rolled out new Design on my Technical Analysis Blog. The new design is based on Thesis framework and Google Organic traffic is up by 30%. Remember it’s not even a complete month as of today when I implemented the new design. Note: There are very little changes done to the actual design elements on the blog. Thesis theme has been designed to look similar to my old theme with slight changes like removal of carousel from the home page and other such minor changes on the home page but posts pages have the same content and design as the earlier design. Why Thesis is so good in SEO? If you are using Thesis theme, you don’t need to use any other SEO plugin for WordPress because it has lot more to offer than any other SEO plugin adds to your blog. Let me share few things that Thesis adds more than those SEO plugins to WordPress. Any SEO plugin provides you with the options for Title, Meta Keywords, Meta description but Thesis is one step ahead of such plugins. It gives you the option to make your Read More link text customizable, which means you can make your anchor text from the home page, category page and tags pages to your post better than “Read More” Anchor text giving you more benefits for SEO. SEO plugins allow you to make your category pages noindex because those pages are nothing but links to other posts in your blog but Thesis Theme has other options as well. Introductory content for your category pages. Instead of just list of posts in the category pages you can add content to it and make it more SEO friendly as well as user friendly by letting your user know what to expect from this category of articles. It helps in SEO because Google wants to send people to the information pages and not to a list of links pages in your category. 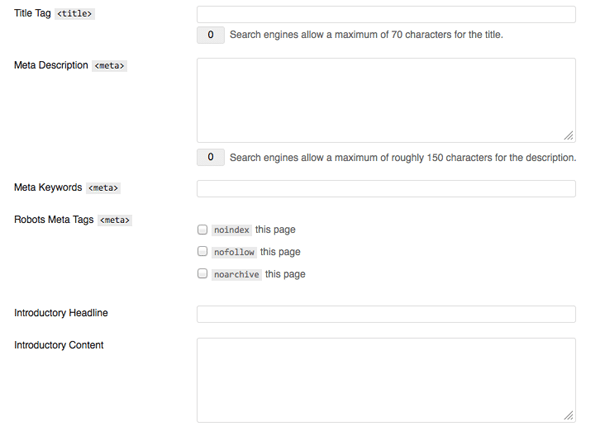 You can turn your category pages into resource pages with Thesis theme. All my blogs are now on Thesis Themes and I think it is the best choice I made for my blogs. I also recommend the same to other bloggers as well. Do you use Thesis theme for your blog? Share your views in comments below. How are you doing? Well my site I’ve given in the website is doing somewhat good with 250 visitors from last week. Saying that, I do have another domain which is http://www.bestwaytoearnmoneyonline.in. I’m looking to have a professional look for this website and found that Thesis is a good one from your blog and from other recommendations. However I’ve no experience on premium themes or having someone to get my site developed. So would you recommed someone to customize the thesis theme according to my need? or is it easy that I can do it myself? Karthic, I am not aware of your expertise levels with WordPress theme but Thesis customization is pretty easy and so should not be an issue. If you still have issues, you can ask me here in comments or can even hire someone to get those done. Shabbir, thanks for quick reply as usual. Well, my concern is, there is an developer option which is just 164$ and it can be used to any number of websites. Hence, I believe web developers all over the world would be already using it. So does it makes any sense for me to buy a theme and go to developer or straight away go to developer who will be already having a theme? I’m thinking if I could save 87$ here. No Karthic, Developer cannot sale or lease you his license. Unlimited license means he can use them on any number of sites he owns but cannot sale to you. Like I have unlimited license and so I can use it on all blogs I own. Apart from that always try to buy from the original author because resellers can be more risky and you never know if he is having licensed version or using cracked version. Is that a right link? I am glad to know and understand now why folks recommend Thesis themes. Great to see that you found it useful. Thanks a lot for the advice. Just started sorting my blog out, will have to change I think. Hmm! You should if you can as your blog deserves the best. I am not using any theme on Thesis but it is customized by me only. There is no free themes with Thesis but there are some free thesis themes for download. 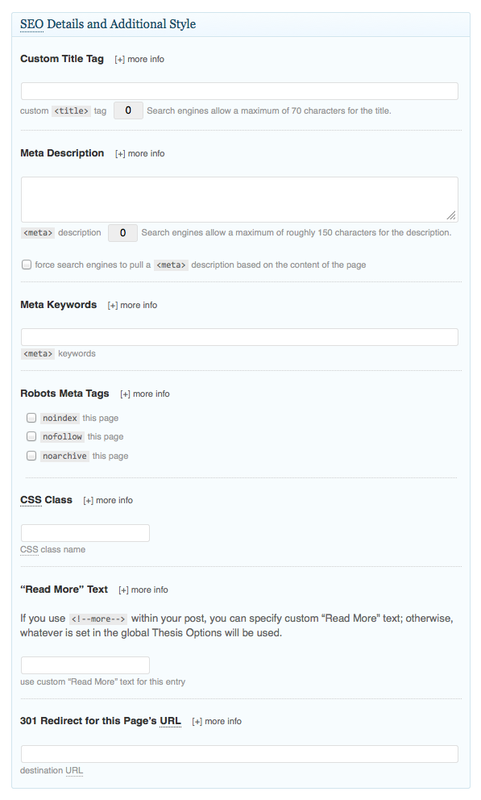 I am using Thesis Theme for my BTB blog and its 100 percent SEO friendly i would say. Thanks for sharing. Great to see that Thesis theme is working for you as well Khalid.